Across our community this week, families will sit down to Thanksgiving dinner, spend time with family and friends and take time to give thanks and share with each other what matters most. Please consider, remember and give thanks for the men and women of the United States Military, who bravely serve everyday. 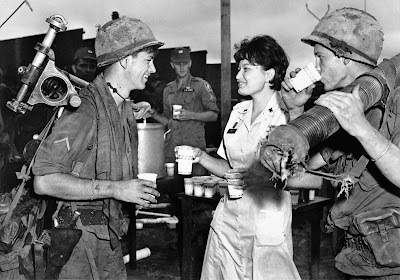 Your Red Cross is inviting the public to participate in a project to support those who are serving and those who have served, by donating cans of coffee to the “Java for G.I.s program. These donated cans, which, in turn, will be given to area veterans’ facilities. The coffee is being collected now through the end of December and will be delivered to the Dayton Veterans Administration Hospitals (which is where our veterans go for treatment, Wright Patterson Air Force Base Medical Center, as well as VA subsidiaries in Springfield, Piqua, Sidney and, Greenville. “A cup of coffee, might not be what you are thankful for this Thanksgiving,” explained Lynne Gump, Executive Director, American Red Cross, “But there will be many Veterans that will be thankful that they were in your thoughts, remembered their service and treated them to a cup of Java”. Cans and bags of ground coffee, as well as individual serving coffee and k-cups are accepted.